Sylvester Stallone stars in the seventh film in the Rocky series that focusses on Apollo Creeds son, Adonis (Played by Michael B. Jordan). Take a look at the second trailer released by Warner Bros.
With Rocky fighting illness and Adonis battling the Creed name, this film looks like it could be a fresh direction for the inspiring Rocky franchise that has spanned a staggering FIVE Decades!! The trailer also shows us that Rocky’s brother-in-law Paulie has now died, and is buried next to Rocky’s wife, Adrian. Could this be the next great boxing film? We have already been gifted Southpaw, starring Jake Gyllenhaal this year after all. Take a look at the first trailer right HERE. 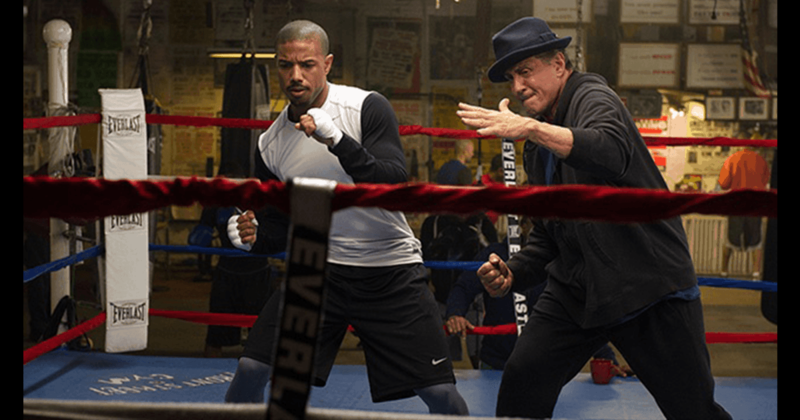 UK release date for Creed is February 19th, 2016 – a few months after the US. Happy 70th Birthday Sylvester Stallone!